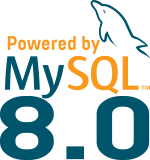 Sunday 11th April, I will be at LOAD to talk about the daily management of huge (and ugly) tables in MySQL. It’s a reviewed talk of my previous FOSDEM session. I just finished the review of the slides.